As far as where it’s all going right at this point, there’s going to be an amalgamation of everything. 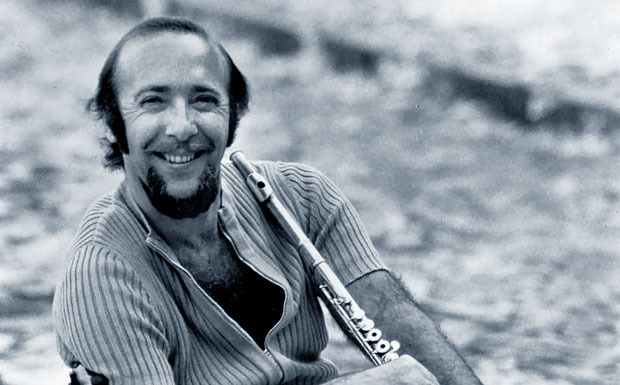 Over the last 25 years, Herbie Mann has taken his flute all over the mapliterally and figuratively. It's not that he's unfocusedhe's just got a very eclectic vision of music. He isn't simply interested in learning about music from all over the globe; he's ready to dive in and play just about anything, too. By the end of the 1950s, Mann had established himself as one of the top jazz flute players aroundrecording with Clifford Brown, Sarah Vaughan, Kenny Burrell, and Phil Woods, among others. He moved away from bebop to Afro-Cuban jazz, and in 1959, took his band on a tour of 15 countries in African, sponsored by the U.S. State Department. 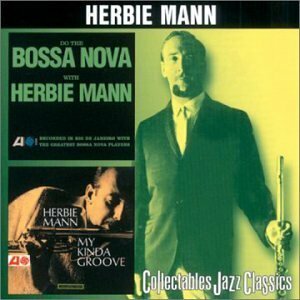 Back home in New York in 1961, he recorded his first big jazz hit, "Comin' Home Baby," a straightforward medium-tempo blues in C, on a live album, Herbie Mann at the Village Gate (Atlantic, 1961). 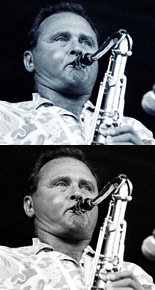 Around that same time, he took his band on a tour of Brazilbefore Stan Getz and Charlie Byrd's Jazz Samba (Verve, 1962)and returned soon after to record with Antonio Carlos Jobim and Sergio Mendes. Later in the '60s, Mann recorded two albums of Middle-Eastern-inspired music, and on a visit to Berlin, he teamed up with an 80-piece orchestra for Concerto Grosso in D-flat Blues (Atlantic, 1968 ). He followed that with a hugely popular album, Memphis Underground (Atlantic, 1969), recorded with a top Memphis R&B rhythm section. 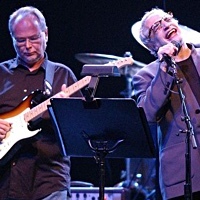 He collaborated with Duane Allman and other top American rock musicians on Push Push (Atlantc, 1971), and he made a trip to the other side of the Atlantic to record with a group of British rockers for London Underground (Atlantic, 1974). In 1975, Mann's disco single "Hijack" was number one on the Billboard dance chart for three weeks. Not much later, he recorded an album blending jazz with gagaku, the royal court music of Japan. After working nearly exclusively as a leader of his own bands for many years, he's made two recordings as a sideman in 1978, one with Australian Barry Gibb and the Bee Gees, and the othercoming full circle back to jazzwith Kansas City legend Jay McShann. His most recent album under his own name makes another return to a place he's been before: Brazil: Once Again (Atlantic, 1978). Jazz in the Aquarian Age: You played a bigger role than most people realize in bringing the bossa nova to popularity in United States in the early '60s. What brings you back to Brazilian music now? Herbie Mann: Well, the first time I got involved with Brazilian music, I had a basic Afro-Cuban band, with Carlos "Patato" Valdes and Jose Mangual Sr., Johnny Rae playing vibes, and bass and drums. It was very African or Latinthat meant vamp tunes, one or two chords. Latin music, as a lot of primitive music, is very simple harmonically but very involved rhythmically. That's where all the harmonies arerhythmic. But it got to be kind of a bore after a while, so I went down to Brazil in '62, and, all of a sudden, not only am I hearing incredible rhythmic music, but with it very beautiful, romantic, melodic, lovely music, as well. So here is the perfect combination. It's like being married to a French mistress whose father owns a liquor store. So I did that for a while, and, you see, with me, the thing is, if I discover something, I'm very selfish about it. All of a sudden when I see it all over the placeit's like finding a clothes designer who maybe has had six or seven suits, and all of a sudden you see a copy from Alexander's. Well, you don't wear your suit anymore.